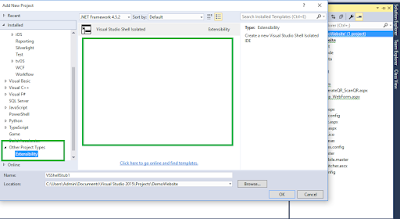 In this article we will learn how to create setup project in Visual Studio 2015. What changes are done by Microsoft in new versions of VS for setup creation. In previous articles we have learnt Difference between Row_Number(), Rank(), Rank_Density() with example . Temp table and table variable .Group By in SQL Server and its use. If Else and Case statement , While Loop . What is Cursor in sql and use of cursor.. If you are familiar with Visual Studio 2010 and had already created a setup project in VS 10 then you definitely facing the problem while working with VS-12, 13 and VS 15. In these versions of Visual Studio you need to install a installer setup file named as VSI Bundle. 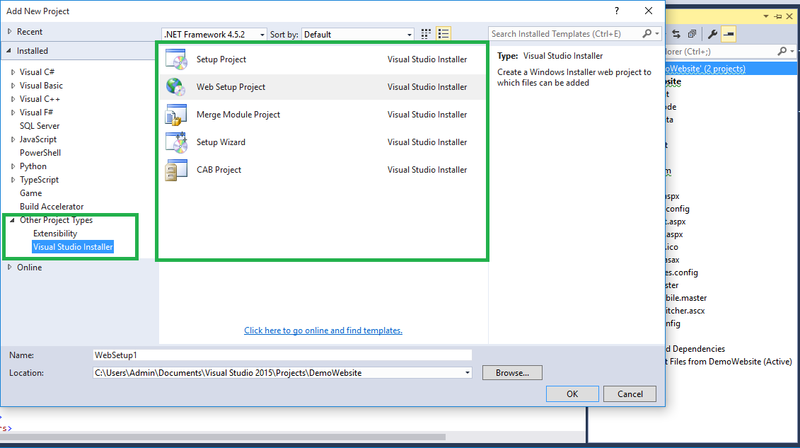 As per Microsoft This extension provides the same functionality that currently exists in Visual Studio 2010 for Visual Studio Installer projects. 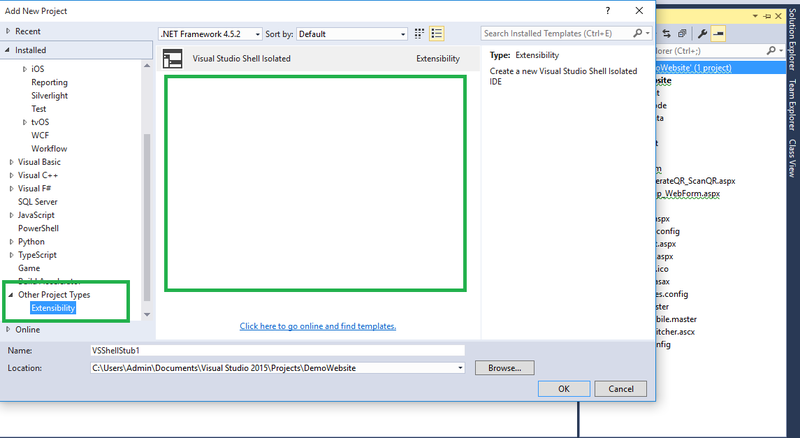 Before installing VSI if you going to add Setup Project similar to Visual Studio 2010 you will find the below screen. You can see on this picture that there is no setup or installer project types available under Other Project Type. Now you just need to go through the Microsoft official Website to download the VSI (Visual Studio Installer ) for Visual Studio 2015. Download from Microsoft . After successfully download the VSI then install it and Restart your Visual Studio. 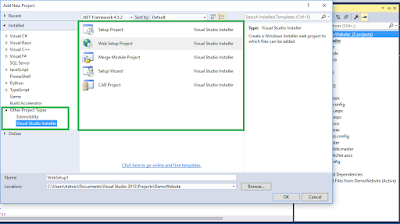 Now go through the Add project and under Other Project Type you will find the all setup extension project are there, now you will be able to open existing Visual Studio Installer projects, or create new ones. Now you are able to add Setup project for Window Project and any Web Application Project. In my next updates i will explain about how to create setup project install and uninstall the Web setup Project in VS 2015.